When I decided to start this blog the first person I knew I needed to meet was Doug Lamerson. He has been actively involved in the beer community in Hawaii for over 30 years, though he isn’t in the industry. His regular email blasts of beer news and happenings are received by everyone in the beer community and served as an inspiration for me to create Beer In Hawaii. Where are you originally from? When and why did you move to Hawaii? I was born in New York City and lived there most of my first 18 years until enlisting in the USAF. Time in Southeast Asia and California created an appreciation for palm trees and warmer weather so when my enlistment was up I enrolled at a community college in Los Angeles. Later I moved on to Cal State Northridge, but eventually disenchantment with the smog, traffic, and congestion set in. By then I had a friend living in Honolulu and when I found out my VA benefits would transfer to U.H. I swapped one state university for another. That was 1978. My family relocated to Seattle in the ‘80s so I began visiting there. Around Christmas 1989 I was driving in the Green Lake neighborhood in the late afternoon and it was getting dark when this neon-lit oasis appeared out of the gloom. I had stumbled on the Latona Pub which was (and still is) in the vanguard of what was then called the micro-brewing revolution. I think they had about a dozen or so taps in those days, but I’d never heard of any of them – Hale’s, Fish, Full Sail, Bert Grant’s, Pyramid, Thomas-Kemper, Redhook, Pike. While I was puzzling over the offerings an octogenarian jazz trio started setting up at the other end of the bar so I was hooked; stayed there about three hours working my way down the tap list. Many others have made the same observation about their first exposure to craft beer: it had taste, real flavors that you’d be inclined to sort of swish around in your mouth to identify, think about instead of simply guzzling down your gullet. There’s no going back to Old Milwaukee after that. Another thing was the attraction of the whole emerging craft culture at that time. Even as just a consumer of these beers you had the feeling you were participating in something special. Of course the scale of it was much smaller then, more intimate so that you could walk into Pike and talk with Charlie Finkel or Hale’s Brewing and talk to Mike Hale. And that was certainly part of the charm for me, the human scale of it. It was accessible, not a corporate product from some anonymous behemoth beyond the horizon. It was very much a community-based and driven phenomenon. It was very much a community-based and driven phenomenon. After that I hit the road at every opportunity with my late “research” cohort, Peter Rappa, roaming the West Coast until we’d set foot in almost every brewery between San Francisco and Bellingham by 2007. It was demanding work as you can imagine. Do you remember the first beer that got you really excited? It seems odd to say now given how they’ve evolved, but it was probably Redhook’s Ballard Bitter or Blackhook Porter. I remember being taken by the name because Red Hook is also a neighborhood in Brooklyn. In those days Redhook was brewing in the old Seattle Electric Railway Trolley Barn in Fremont, only a couple years removed from the converted Lee Myles Transmission shop where they began. The Ballard Bitter was actually a pale ale and a good “entry beer” for anyone who was accustomed to thinking of Michelob as “exotic.” The Blackhook Porter was a revelation for the appearance of a coffee accent in my beer. I decided I like that. Quite a lot actually. What was Hawaii’s beer scene like a decade or two ago? What craft or imports were available? Going back two decades or so I believe Redhook ESB was the first “craft” beer to appear here around 1994 or ’95 owing to the distribution deal they did with Anheuser-Busch. I remember it came on draft at Manoa Garden at UH and it was a big deal. We’d order pitchers and pitchers of it at Friday pau hana. Sierra Nevada Pale Ale was also an early entry. The Liquor Collection was always the place to go for imports. Ming and George were way ahead of the curve here. I remember that my girlfriend at the time bought me a bottle of Celebrator Dopplebock because she thought the plastic goat hanging from the neck was cute. Other imports that seemed to be popular in those days were mostly big German, Canadian or Down Under brewers: Lowenbrau, Beck’s, Moosehead, Labatt’s, Fosters, Steinlager. The Dutch too: Heineken and Grolsch, although I don’t remember Heineken being as popular as it is now. Urquel was around and Corona of course, and I think Liquor Collection also had Fuller’s ESB for a while. I’d like to see that one again. There was probably a Belgian or two, but I hadn’t yet come under the sway of Michael Jackson at that point. When and why did you start your email list The Beer Aggregator? I guess I’ve been sending out the Aggregator about three years or so now. It just grew sort of organically out of conversations with friends about beer related stuff. I picked up a journalism degree along the way so it’s probably also a reflection of some latent reportorial impulse. It may also be a commentary on how much time I have on my hands. It’s obviously very rudimentary in its format and of course reflects my own interests to a degree, but it attempts to strike a balance between information and education, if you will, in terms of selecting stories that might not otherwise come to the attention of folks with less time to go roaming around the web. Have you ever thought about working in the beer industry? It’s crossed my mind, but at this stage of my life I’m too invested in my day job and too short of energy to take on something after-hours. A dozen years or so ago I was fairly serious about buying a dive bar in Seattle and converting it to a joint that encompassed a couple of my passions – good beer and jazz – but I came to my senses. Still, after I retire I might be open to a certain sort of situation. Why do you think so many breweries have failed in Hawaii? What do feel separates the ones that have succeeded from the ones that have gone under? Where to start? Well, most basically it usually comes down to money. There’s not enough of it. Commercial brewing is a pricey proposition anywhere, but even more so here of course. But under-capitalization is just part of it. A number of operations have failed to do a sophisticated analysis of their “audience” and certain other realities peculiar to commercial brewing in Hawai’i, distribution and retail in particular. I think there’s been some overreach in terms of acknowledging local history and what the audience is ready for as opposed to what the brewer or owner may wish the audience is ready for. I know Dave Campbell has been mindful of this reality, probably because he grew up here. It’s a tricky act to find the “sweet spot” between revenue and art. And I think you need to be able to adopt the “long view” and be prepared and able to be accept unprofitability for a while. And then there’s no substitute for good timing and luck. I think Kona was lucky in the sense that the name evoked something exotic in the Mainland imagination which came to, or was brought to, the attention of the Widmer/Redhook Craft Brew Alliance who in turn poured money into brand promotion. I’m not familiar with Garrett Marrero’s personal finances, but he appears to have arrived with resources adequate to transform Fish and Game Brewing into something previously unimagined. And of course the name “Maui” is at least as magical as “Kona” in the public mind. Naturally, that only gets you the first sale. The beer better be good or they’re moving on. Do you think Hawaii and Oahu more specifically can support numerous breweries? Possibly, but, to invoke a hackneyed expression, I think size matters. But in this context smaller may be better. It will be very interesting to see how Honolulu Beerworks plays out. Geoff Seideman has created a very nice model there with a brand new 7 barrel system and a pretty ambitious brewing schedule. He has good landlord support and has transformed a derelict warehouse into a very inviting space reminiscent of local breweries I’m familiar with in the NW like Breakside and Migration in Portland. The issue is can you sell enough beer, and I think that remains an open question in this town. Beerworks is well positioned if the economy holds up and Kakaako increases by 20,000 people or whatever HCDA imagines in those various towers. The other part of the equation is getting the beer into bars (and stores if you’re packaging). That can be a tough slog in a town where a Longboard handle represents either a grudging or adventurous concession to “craft” for many watering holes. I’m certainly eager to claim a stool at Beerworks, but I’d also like to see the emergence of a nano-brewing culture, 1-3 barrel systems that are strongly identified with particular neighborhoods. Kaimuki, Moiliili and Kailua are communities that come to mind. I’m surprised nobody’s put a brewpub in Haleiwa. Other cities support multiple numbers of these operations which generally have limited hours for a small tasting room augmented perhaps by a food truck. These enterprises may or may not develop into something larger and they don’t generate a living wage, but the initial investment is manageable and it’s a sort of guerilla campaign to raise the community awareness about craft beer. Kalihi would constitute a real beachhead. 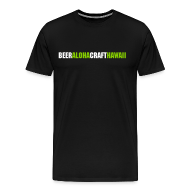 There are many very capable home brewers on Oahu making exceptional beer who could easily make this leap if their personal circumstances allowed. What type of beer do you think is a good gateway for Hawaii’s culture to get them away from super light lagers and into more craft styles? Well obviously anything overly hoppy or malty is going to offend a palate calibrated to industrial lagers. Maui Bikini Blonde and/or Kona Longboard appear to be making some headway with folks willing to stick their toe in the water. And I’ve had some success expanding palates ever so slightly via Widmer Hefeweizen (sans lemon). Probably Blue Moon and Stella function in the “gateway” role given their wide availability. Leffe Blonde is a very well-balanced beer that raises the ante just a bit introducing a little spice to go with “new” flavors that are approachable and not overbearing with the cache of “import.” And the 6.6% ABV really isn’t noticeable. At least with the first one. 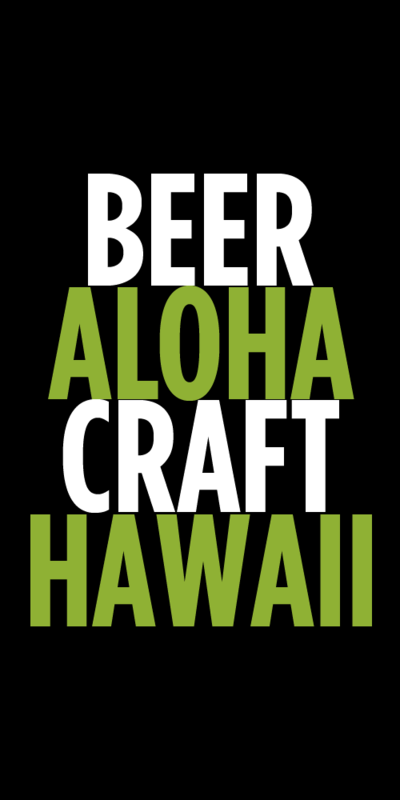 Where do you see Hawaii’s craft beer scene in 5 years? Certainly the local beer scene has changed radically in the 35 years I’ve lived here, especially in the last five years. I have some doubt about sustaining that rate of improvement over the next five years. The overall health of the economy cannot be minimized as it affects brewery development and growth in general. And while nobody is likely to stop drinking during an economic slump they may make different decisions about what and where they drink. The beer dinner, for example, becomes perhaps an extravagance in certain situations. Because Hawaii is largely at the mercy of forces beyond its control it will probably be subject to boom and bust economic cycles for the foreseeable future. I’ll be content with a modest but sustained improvement in our circumstances over the next five years that would result in more enlightened or alternative distribution arrangements and an elevated awareness and appreciation for craft or artisanal beer among the general public. That needs to be an on-going campaign. Favorite 3 beers or styles? There’s something vaguely diabolical about this question. Three? Really? Ok, I’m partial to IPAs. I like to have Tom Kern’s Overboard, Anchor Liberty or Deschutes Red Chair (originally branded an IPA) in the fridge. But to cover my stylistic bases here’s two more: Hair of the Dog Cherry Adam on the Wood, and something of a cult beer, Chernobyl Stout, from the otherwise unremarkable Tugboat Brewing in Portland (the Tug has other attributes). Unless you enlist a mule you’ll have to travel for those, but hey, where’s the harm? And as long as you’re in the neighborhood (sort of) there’s a nano-brewery called NW Peaks in the Ballard neighborhood of Seattle. Brewer Kevin Klein bottled a one-off called Triumph Imperial IPA aged on Palo Santo wood. Never tasted anything quite like it. Yummy. Bring me one. Thanks in advance. Tags: Doug Lamerson, Interview. Bookmark the permalink.